We believe in the necessity of nutrition and exercise, and that children should begin at an early age. We provide formative experiences to help your children continue to lead a healthy life as they continue to grow. 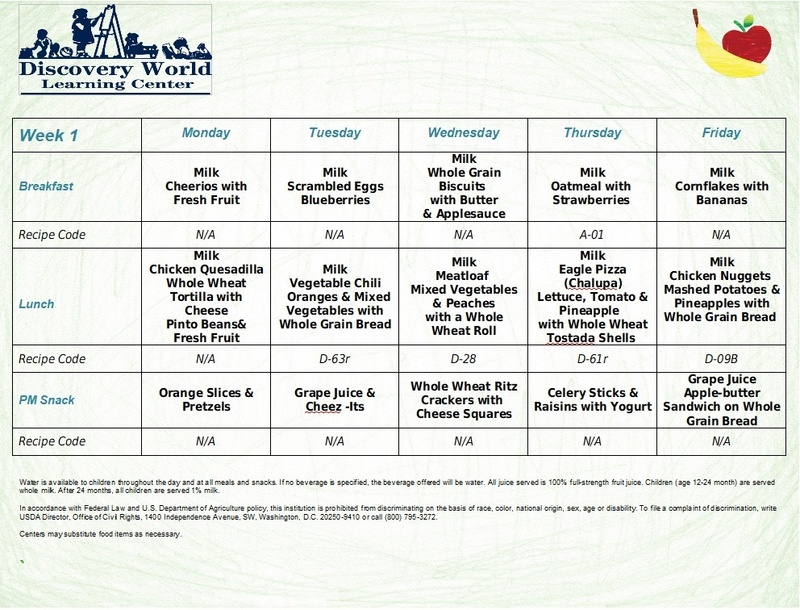 The following items are provided free of charge to help your children begin their healthy lifestyles. We home make healthy breakfasts, lunches, and snacks to keep your children satisfied throughout the day. Our menus incorporate lean meats, whole grains, fresh fruits, and vegetables, while minimizing extra starch and added sugars. We believe that a stomach full of nutrients leads to better learning. Below is a link to our current menu. We are in the process of updating it to make it even healthier! Each meal is designed to be child-friendly and provide a variety of textures, flavors and colors. We work to introduce kids to vegetables, fruits and other healthy foods in ways that make them fun and tasty. Children are taught what good food is and how it is beneficial. We provide fitness classes that use sports to teach children about teamwork and self-discipline. 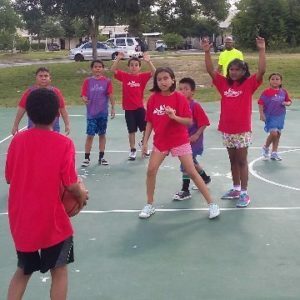 Classes offer a positive outlet for children who are looking for a fun way to be active and find which games inspire them the most. Starting with young toddlers, all our children spend time playing outdoors every day, weather permitting. All ages get time to be active and work on gross motor skills periodically throughout the day. Studies have shown that our brains are more active, and we learn better, after physical activity that elevates our heart rate. We believe all lessons should be broken up by games, activities, and freeplay that gets children moving. Water is always available for children to drink, especially when playing outside on hot San Antonio days. We limit juice and eliminate artificially sweetened drinks in our daily menu, focusing instead on high quality calories that will keep kids healthy.